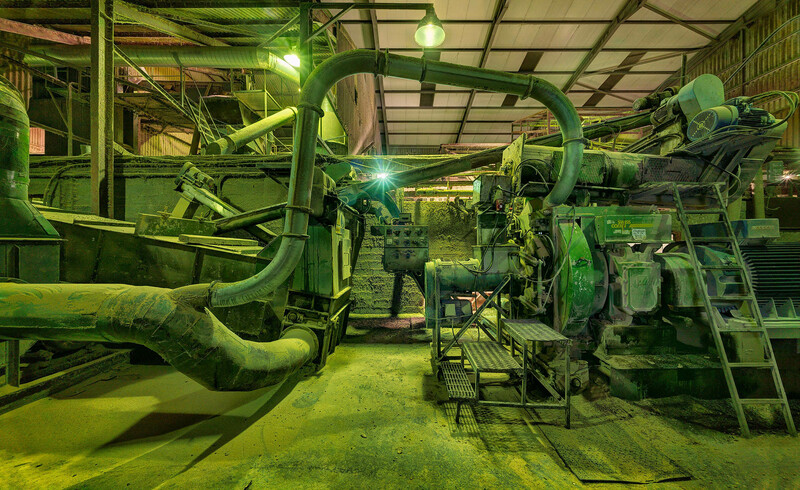 An industrial photo of a machine that appears like something from a Science Fiction Set. Industrial lighting of different colour temperatures give off different hues. Unlike our eyes the camera does not attempt to the ambient light. What you see is what you get. There is beauty everywhere and I love to make photographic art from the unorthodox. I was like an excited child photographing the farm feed factory. The owner was kind enough to let me photograph the place for 3 days on my own. “Animal Feed No.3” was selected for exhibition in the 2014 RHA Annual Exhibition.